Falls are the most common cause of injury for the elderly, and can lead to serious complications with hospital visits and reduced mobility. Unlike many threats to elderly health, falls are entirely preventable, so it’s important to take the necessary steps to protect your senior loved ones and create safe home environments. It is assumed that most falls are caused by tripping, but it’s worth remembering that dizziness and loss of balance can sometimes result from illness or even prescription medications, so there are times when your senior loved one may be more susceptible to falls. Always make sure that if they are not feeling well, they are not up and about too much, putting themselves at risk. 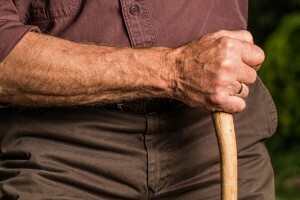 Reduced mobility resulting from past falls or illness can also lead to a senior falling. Remove tripping hazards on the floor such as rugs and cords, or tape them down. Ensure that all lights are working, and that there are lights in place throughout the house. The bathroom is most likely the place that you will need to spend a bit of money to make it safer. Suggestions include handrails by the toilet and in the bath, rubber mats on the tub bottom, and a walk-in shower. Organise the house (importantly the kitchen) so that nothing is on a high shelf and out of reach. Install handrails throughout the house. Use nightlights between the bedroom and bathroom. Keep a walking stick near the bed so they can use it first thing, when they are most likely to be stiff. Exercise regularly – keeping an exercise routine maintains balance and strengthens muscles against injury.